Are you in the market for air con Brisbane? Choosing the cooling (or warming) system for your home or office can be overwhelming, especially when there are so many units to choose from. Each cooling system has its own capacity, advantages and disadvantages. To make the right decision, you need to know the basics of each of the different types before you decide which one to buy. When it comes to air con Brisbane customers can rely on the Air Conditioning Advisory Centre for expert advice. Here is our overview of the different options you can consider. The most common type of air con and the one you’re probably familiar with is the window air conditioner. This AC system is used for cooling single rooms. It is also called unitary units because all the refrigerant components are housed in a single unit or box. This type of air con is easy to install, without requiring changes to the property, making it a preferred option for many rental tenants. It is also less expensive compared to the other AC systems. The downside of this system is it gets a little noisy at it gets older. It is also less energy efficient compared to the more expensive AC types. Though you may think it looks like a window air conditioner, through-the-wall conditioner actually differ in weight, design, and cooling capacity. 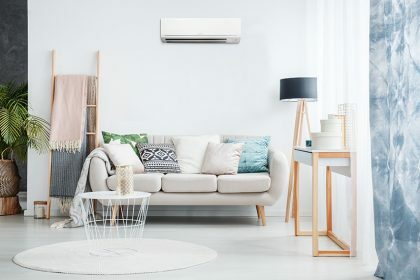 For this type of air con Brisbane residents or businesses will have the unit installed within a chassis sleeve in the wall, and once it’s there, there’s no moving it anywhere. If you want to cool a larger area, this cooling system does the job. It is also more efficient than window units. The disadvantage of this system is that it is not easy to install because you need a hole in your wall. 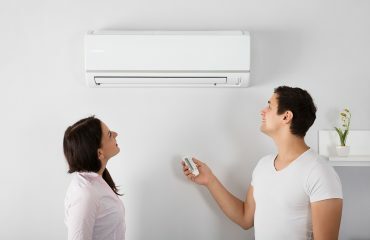 One of the most common types of air con Brisbane customers choose, is the split system. This unit has two parts – the indoor unit and the outdoor unit. The indoor unit is composed of the evaporator and cooling fan, while the outdoor unit has the compressor, condenser and expansion valve. This type has many advantages. It doesn’t take up much space. It doesn’t require ductwork. It blends easily with your decor. It is also designed to operate at very quiet levels because the compressor and condenser are located in the exterior unit. 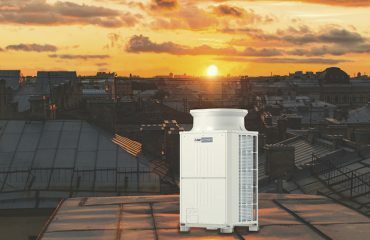 One common type of air con Brisbane hotels, larger homes and buildings turn to is the central air conditioning system. Also referred to as ducted air conditioning, this air con type can cool any room size by supplying cooled (or warm) air through air ducts or vents located in the wall or floors in the room. This cooling system has many advantages. Did you know it actually improves the air quality? As the warm air is pulled into the ducts, it passes through a filter that removes airborne particles like dust, lint, and allergens. It is also quiet, you can barely detect the noise. Centralised air cons also do not take up visible space, and they are very easy to operate and isolate the cooling or warming to a specific zone. The con side to a centralised air conditioning is the installation can be very expensive. It requires ductwork, which can be labour intensive to install. Have you discovered the air con that fits your needs? 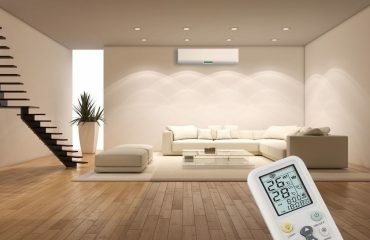 For more information contact the air con Brisbane experts, the Air Conditioning Advisory Centre, today.